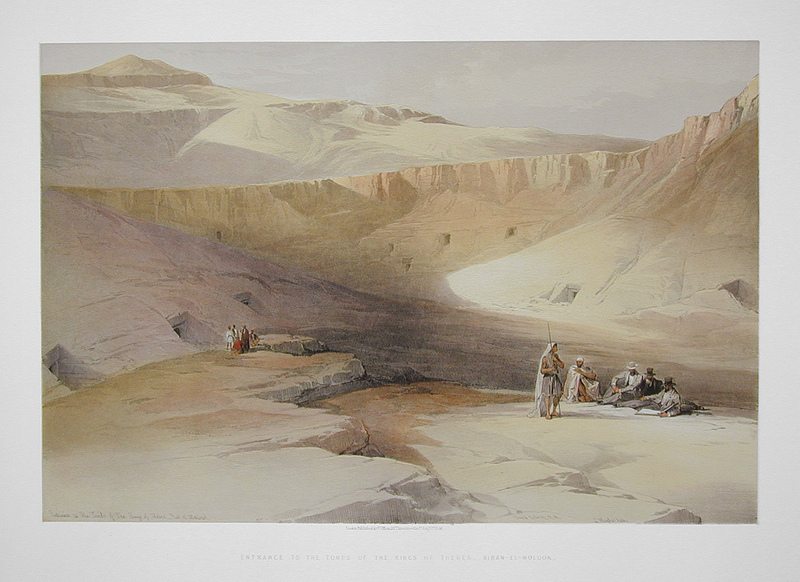 Comments: A full folio print of the "Valley of the Kings", across the Nile from Luxor. The entrances to many of the underground royal tombs can be seen, but Tutankamun's tomb, located here, will not be discovered for many years. Price: $800 uncolored, $900 colored. Title: Entrance to the Tombs of the Kings of Thebes. - Biban-el-Molook. Paper : 16 5/16" x 23 7/8"